Matter Matter & Character Counts! in October--and all year long! Strong families lead to strong communities. Strong communities lead to strong nations. Together, we can fight crime, gangs and bullying by inspiring and equipping this generation of children, teens, families, schools, athletes and businesses to live with character, integrity and respect. Judi The Manners Lady, Founder and CEO of the not for profit International Centre for Manners & Civility, is on a global mission to help communities around of the world become stronger and safer. She is partnering with community and government leaders along with teachers, parents, coaches and students to focus practical ways of being intentional in choosing to live with manners and character. This exciting grassroots movement is catching fire in communities across the nation as people realize the transformation that choosing living with character makes in the cultural fabric of a community. Judi realizes we must transform the popular culture--and create an atmosphere where bullying, rudeness, crudeness, incivility and immorality are not "cool" or accepted. National Manners and Character Month was launched in 2003 to help create an awareness of the need to be intentional in passing on our virtues and values to the next generation. Kids don't learn "manners" by accident! Nor do athletes learn "sportsmanship" by chance. Young people don't become engaged, responsible, citizens and employees of character and integrity by chance either. As parents and community leaders, we must be intentional to build character into their life ... starting at the youngest ages. And then we must live it too. Judi created The Manners Club & Life Skills International to win the hearts of our kids... before they break ours. 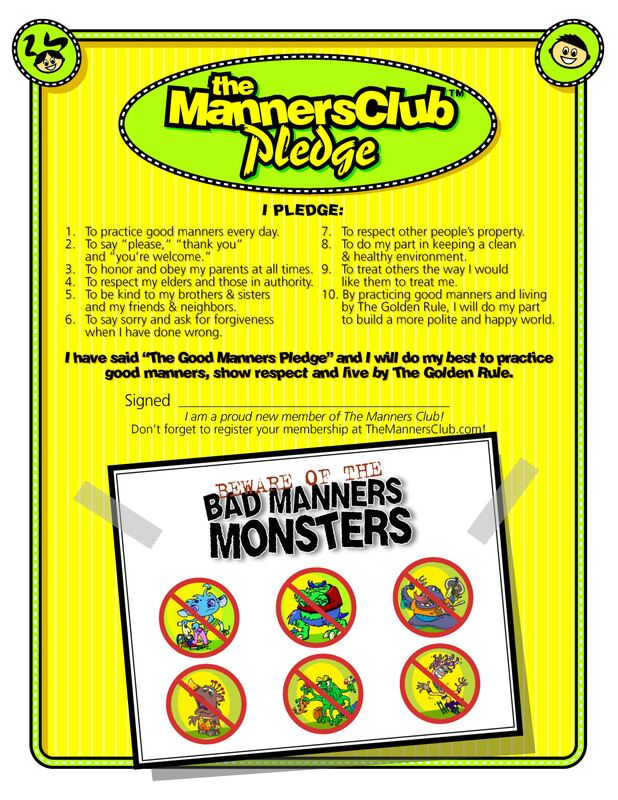 The Manners Club Character Program is a fun and simple tool that is changing lives as teachers and parents use it in schools, Kids Clubs and communities around the world! The Manners Club uses music, games and laughter to communicate important life principles. "That which is learned with laughter will never be forgotten." 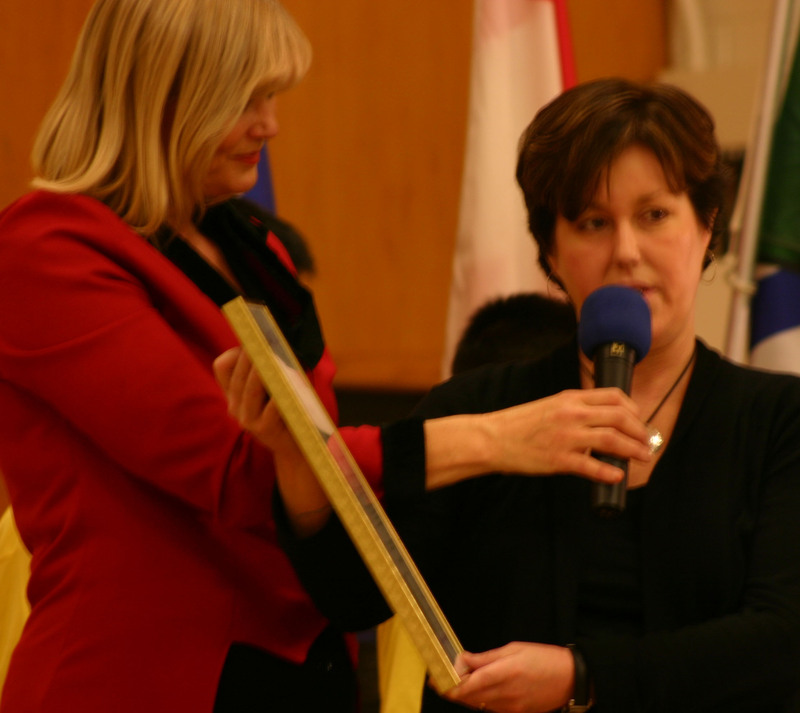 Judi trained business, schools and community groups in the UK to become "Multicultural Friendship Ambassadors" and "Say Hello to all the World" training programs for London's Olympics and "Building Team BC" teams for training Multicultural Friendship Ambassadors for Vancouver's Winter Olympics. Download "Friendship Ambassador Cards: 3 Respect Keys," Manners Lady Concert Poster, and "Say Hello to all the World" poster! Click here to see a sample of Manners Lady concerts. 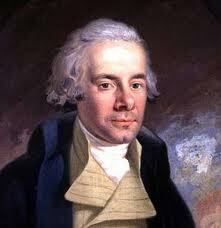 the suppression of the slave trade and the reformation of manners." Steve Nash basketball players use their "Respect Pledge"
to help learn sportsmanship for life! National Manners Month in October is an exciting time for communities and families to focus on civility, respect and manners! See below for valuable resources and ideas for families, schools, athletic coaches, etc. Send us YOUR ideas for celebrating NMM. Let's celebrate George Washington's Birthday (Feb 22nd) by being a "gentleman!" Download George Washington's Rules of Civility -- this was his penmenship homework as a child, and laid the foundation of character for his life! Let's strive to live with character and integrity like Pick up a copy of "Being George Washington." You'll be thrilled and inspired by what you learn! 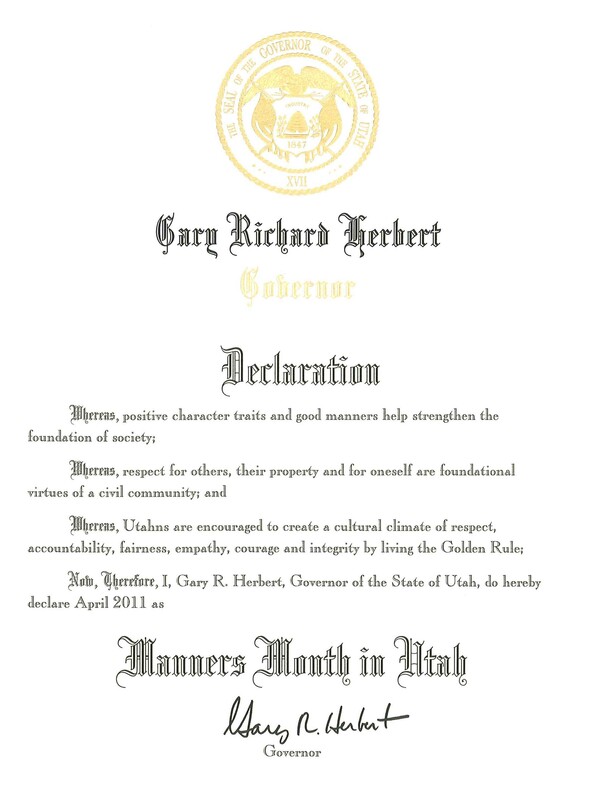 for declaring Manners Month in Utah! Friends, the world is crying out for people of character. Every day, the media flashes images of the results of incivilty: crime, road rage, shootings, thefts, bullying, drug abuse. We must be intentional to inspire and equip this generation with the tools: the attitudes, words and actions of civility and respect -- to make our homes, our communities, our nation and our world... a better place. A safe place. A fun place. Where does character and civility start? In our homes. With respectful and loving relationships. When children love their parents and are loved--they obey them quickly with great attitudes and go an "extra mile with a smile." FREE: Download the "Honor Your Parents Challenge!" Here's how communities are celebrating National Manners & Character Month! Parent / Teen workshop at the Vineyard, "Grooming the Next Generation for Success." For photos of NMM click HERE. Thank you to the Penticton Western News and the Penticton Herald for their support. Read about NMM Penticton HERE. National Manners & Character Month in YOUR city! Here are a few ideas to help your family and community celebrate National Manners and Character Month... all year long... and to choose to live with character and good manners! 2. Learn to say "Hi!" in the language of the people in your community! (click here to download a fun list of phonetic greetings in lots of languages) Hear the Manners Lady's award-winning song "Say 'Hello' to All the World!" 3. Host a "Most Polite Contest" or a "Respect" poster contest in your school or community! 5. 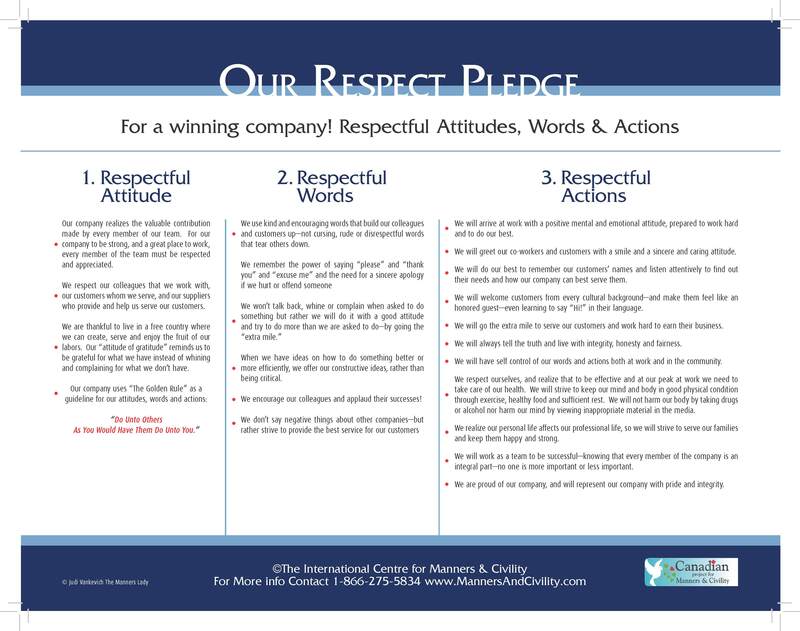 Your business or the Chamber of Commerce can use the Business Respect Pledge with your staff. 6. Your school can take the Respect Pledge! (Call to ask how we can put your school mascot & motto on the pledge!) Also, download the Rotary Club version with the Four Way Test! 7. Your family can take the Respect Pledge! Color "Fuzzy Wuzzy Heart" and chase away "Prickly Stickley" away! Help kids identify the bad attitudes and behaviors that are invading our society and then lock them up!! Kids love to sing "The Bad Manners Monsters are Coming to Town" and play Bad Manners Monsters Tag and cut out The "Bad Manners Monsters" finger puppets! 9. 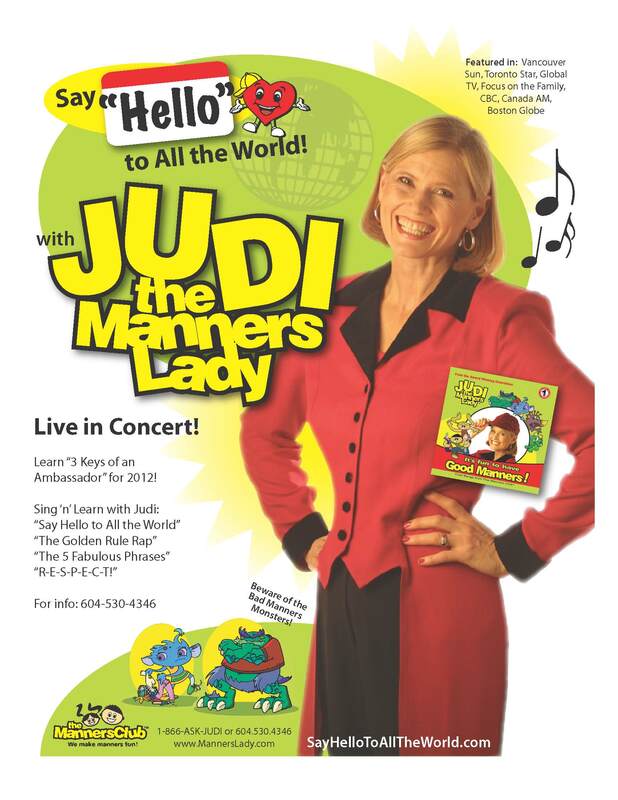 Invite Judi The Manners Lady for a city-wide family concert, high school leadership programs, ethics and customer service programs for businesses and Chamber of Commerce and Rotary and service clubs! on ice with the Chiefs in B.C.! 1. Congrats to Judi The Manners Lady for being nominated as a Canadian "Multicultural Ambassador of Diversity." See also article on The Manners Lady in Regent University Leadership Magazine. 2. The Canadian Project for Manners & Civility helped train over 12,000 young Canadians across the country to be Multicultural Friendship Ambassadors at Judi The Manners Lady's live "Say Hello to all the World" Multicultural Hospitality training concerts and workshops as part of our "Building Team Canada" program! b) "respectful attitudes, words and actions" - Ambassador Training for both during the Olympics and beyond. 3. Congrats to British Columbia's Solicitor General's Gang Prevention Program which featured a B.C. Lions tour in the high schools and a leadership concert tour with Judi The Manners Lady across B.C. elementary schools -- both with the goal of helping kids develop skills to be able to say "no!" to gangs. 4. Congrats to Langley United Soccer Soccer Association in B.C. for launching their 1st annual "Respect Program" with a concert with Judi The Manners Lady and the Sports Character Pledge! 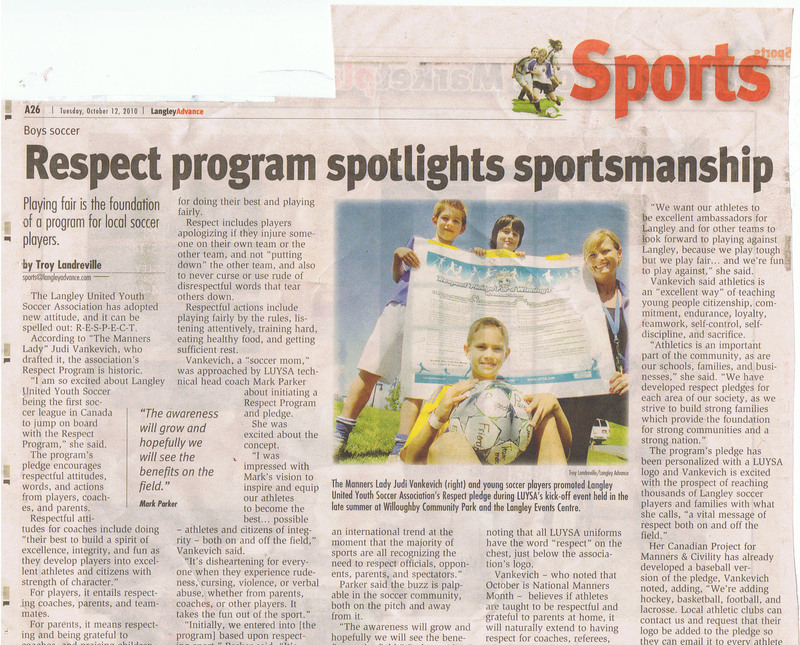 (see below) Click HERE to download a copy of the Soccer Respect Pledge. Getting to know someone starts by smiling and saying "Hello!" It's even more special if you can learn to say "hi!" in their first language. Of course they speak English or are trying to learn, but their first language is the language of their heart! Take the "Say Hello!" Challenge! Download The Manners Lady's Multicultural Friendship Challenge: "Say Hello to all the World!" Watch for the 2018-2019 MOST POLITE Character Awards Contest! Do you know someone who consistently lives with great manners, kindness, and character? Someone who has served you respectfully at a local business? A child? A teenager? A professional or amateur athlete who is a good role model for kids? Even a politician with character, integrity and manners? Your school or city can host your own "Character Awards" for 2014! In 100 words or less, nominate a person who has great manners and character, and who lives with kindness and courtesy. For more details or inquiries, please contact us or call 1-604-503-4346. 2. Celebrate National Manners Month... with your businesses, schools, sports teams, family, churches, temples, mosques, etc. Congratulations to Langley, B.C. for their celebration of National Manners Month - October , co-sponsored with the Langley United Soccer and Langley International Festival! Thank you to the Langley Rotary Club for donating the School Pledge and The Manners Lady CD to every school in Langley. Congrats to St. Margaret Catholic School in Toronto and St. Cyril Catholic School for taking the Challenge "Say Hello to All the World!" Congrats to Georges Vanier Elementary School in Surrey, B.C. for accepting The Manners Lady Challenge -- to learn to say "Hi! How are you?" in all the languages of every student who attends their school! Way to go! Congrats to Ecole Sandy Hill Elementary School in Abbotsford for hosting "Manners Day" to focus on character and manners -- for the whole year and also to their athletes as they commit to living by the "Sports Pledge" for athletes! and an attitude of gratitude? People would be polite: no road rage, no school yard bullying, no harassment or dishonesty in the office, Families would be strengthened as children learned the value of honouring and respecting their parents and elders and of each of us being kind to each other. Everyone—from the President, Governors, Mayors and City Councilors to schools, businesses, parents and grandparents, children and teenagers, service clubs, churches and sports teams, would focus on politeness. Our law enforcement officials agree that focusing on manners and respect is a positive and proactive way of dealing with crime. If people are respecting each other and their property, they won't be stealing, speeding, or breaking the law! As a nation, let's remind our nation of the values and virtues that made us a strong country, and join together to celebrate National Manners Month this October.. and all year long! It's all about our character. Manners are an outward expression of our inward character. As a nation-and as communities across the country, let's keep our families strong by becoming "Character Communities" and by joining together to celebrate National Manners Month... all year long! Let us know how you would like to help your family, business, school and community celebrate National Manners Month this October! If you share this vision to impact our community with these foundational principles, join the National Manners Month Team! Help support the project by making a tax deductible donation! Call us at 1-866-275-5834! ...because Manners Matter & Character Counts! Join JUDI THE MANNERS LADY in helping inspire a new generation to live with Civility and Good Manners—and pull out crime by its roots—lack of respect for others & their property! Download the Family Pledge—"Our Family Celebrates National Manners Month... all year long!" 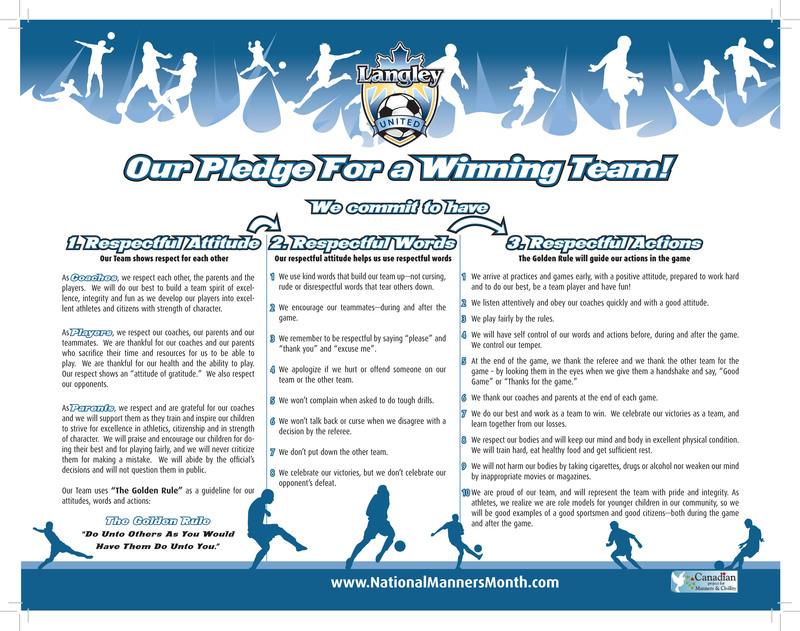 Download the Sports Pledge—"Our Team Celebrates National Manners Month... all year long!" Download the Canadian School Pledge—"Our School Celebrates National Manners Month... all year long!" Manners Lady at Douglas Park - 2010 "Say Hello to All the World"